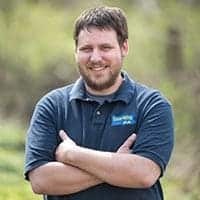 Throughout my four years traveling PA, I’ve visited hundreds of amazing places and learned many amazing facts about Pennsylvania. I’ve compiled my favorite Pennsylvania facts below. While you might know some of them, I bet you’ll learn something new. 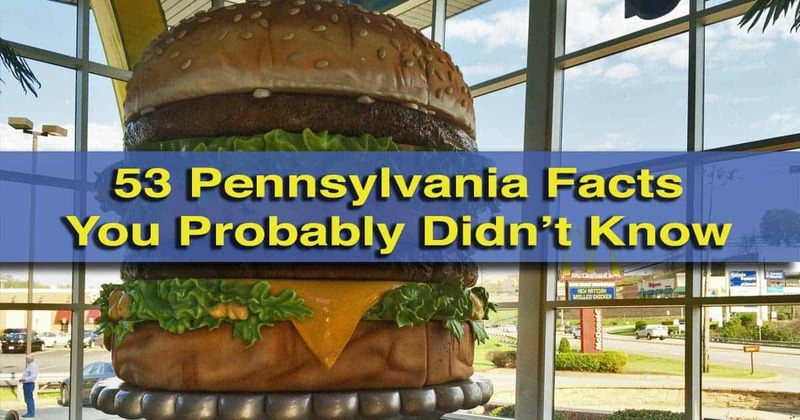 Here are some of the most interesting Pennsylvania facts you’ll find on the internet. William Penn was given the land that would become Pennsylvania by King Charles II in 1681 to satisfy a debt the king had with Penn’s father. Pennsylvania is not named after William Penn…at least not the one you think it was. It is named after his father (who was also named William Penn). 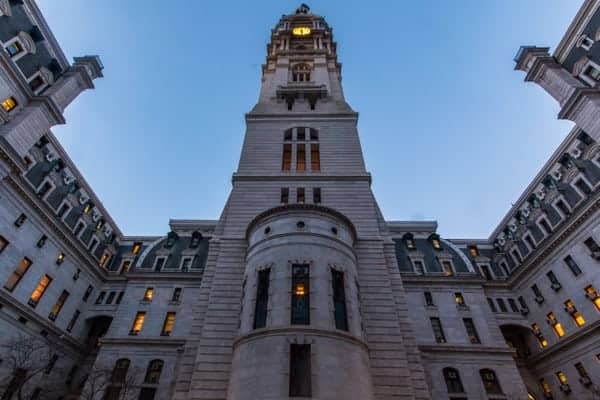 From 1894-1908, Philadelphia City Hall was the tallest habitable building in the world (at 548 feet in height). It is taller and has more rooms than the U.S. Capitol. The smiley face emoticon was invited in Pittsburgh by Carnegie Mellon University Professor Scott Fahlman on September 19, 1982. The only time George Washington surrendered his army was when he was a 22-year-old colonel in the British Army. His battle and surrender marked the first battle of the French and Indian War. Potter County, Pennsylvania, is home to the only Triple Continental Divide east of the Rocky Mountains. At this spot, water flows into the Gulf of Mexico (through the Allegheny River), the Chesapeake Bay (through Pine Creek), and the Gulf of St. Lawrence (through the Genesee River). The polio vaccine was created in Pittsburgh in 1955. Children in the city were the first to be given the new vaccine. Erie, Pennsylvania, was the snowiest city in the United States (with a population over 100,000) during the 2013-2014 winter. They city received 138.4 inches of snow. When it was completed, Kinzua Bridge was the longest and tallest railroad bridge in the world. When it opened in 1882, the Kinzua Bridge in McKean County, Pennsylvania, was the longest and tallest railroad bridge in the world. In 1943, the Steelers and Eagles formed a combined team because neither could field a full team due to World War II. The team was called the Steagles and they finished with a winning record, something the Eagles had yet to achieve. 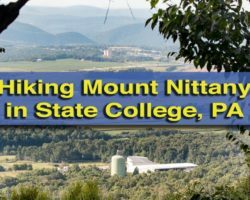 The highest point in PA (Mount Davis at 3,213 feet) is at a lower elevation than the lowest point in the entire state of Colorado (3,315 feet). The Big Mac was invented by Jim Delligatti, who owned several McDonald’s restaurants near Pittsburgh. 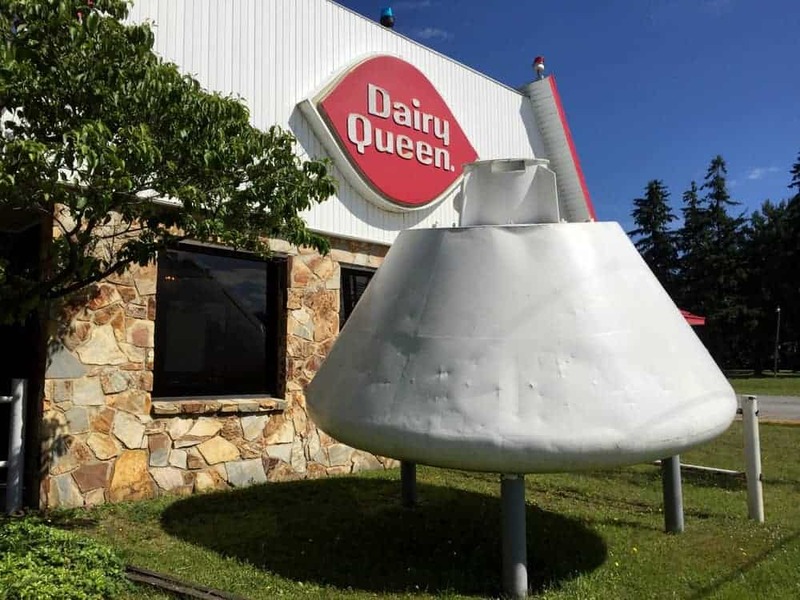 It was first served in Uniontown in 1967. Frontiersman Daniel Boone was born in what is now Berks County, Pennsylvania. His home is open for tours. 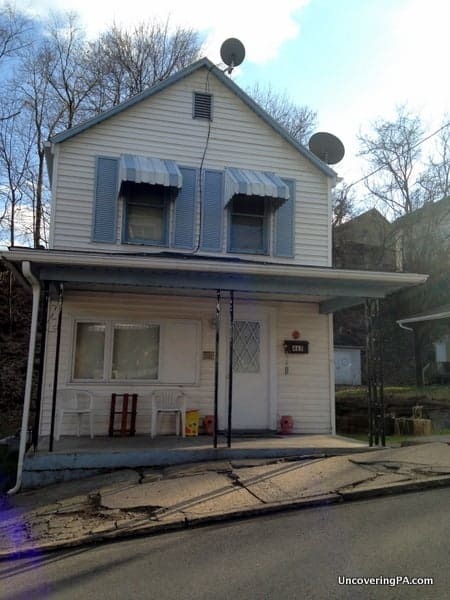 Stan Musial was born in this home on 6th Avenue in Donora, Pennsylvania. Baseball Hall of Famers Stan Musial and Ken Griffey, Jr. were both born in Donora, Pennsylvania, on September 21 (though separated by 49 years). Stan Musial played on a high school basketball team with Griffey’s grandfather. The Jeep was invented by the Bantam Car Company in Butler, PA. However, the U.S. military didn’t think they could produce enough models and gave the plans to Ford. The world’s first purposefully-dug oil well was dug by Colonel Edwin Drake in 1859 near Titusville, Pennsylvania. Here’s another surprising fact about Pennsylvania’s oil industry. In 1881, Pennsylvania produced more than 75% of the world’s oil. There is only one town in Pennsylvania: Bloomsburg. Everywhere else is either a city, borough, or township. This authentic piece of Apollo history sits outside of a PA Dairy Queen. One of four surviving Apollo command module boilerplates still in existence sits in front of a Dairy Queen in Franklin, Pennsylvania. Meadowcroft Rockshelter in Washington County, Pennsylvania, is the oldest-known site of human habitation in North America dating back 16,000 years. Until the early 1800s, the largest shipping port in North America was in Philadelphia. The only piece of Abraham Lincoln’s tomb that was ever removed sits at the base of the Civil War Memorial in Lewistown, PA. It was given to the community in honor of Logan Guard, which were the first soldiers to volunteer to fight in the Civil War. 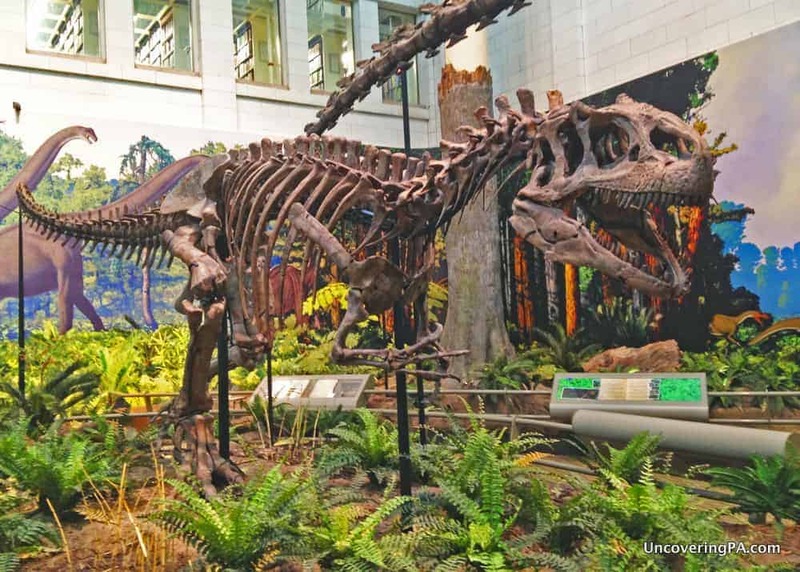 The first complete Tyrannosaurus Rex skeleton ever found is on display at the Carnegie Museum of Natural History in Pittsburgh. 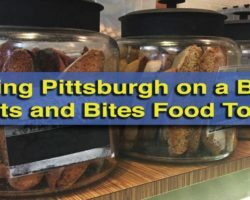 The first complete T-rex fossil can be seen in Pittsburgh. 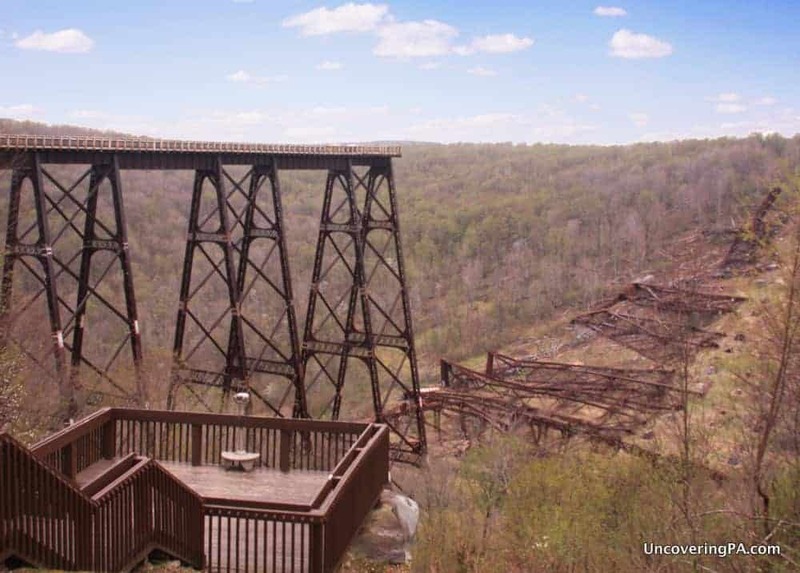 The Tunkhannock Viaduct in Nicholson, PA, was the largest concrete structure in the world when it was completed in 1915. Half of America’s mushrooms are grown in and around Kennett Square, Pennsylvania. Hugh J. Ward invented Bingo in Pittsburgh in the early 1920s. He originally called the game Beano and used beans as markers. Leap the Dips at Altoona’s Lakemont Park is the oldest, still-operating roller coaster in the world. It first ran in 1902. The Warner Brothers got their start leasing the Cascade Theater in New Castle from 1906-1907. They borrowed chairs from the nearby funeral home, but had to return them (and thus were not able to show films) when someone died. The Foxburg Country Club is the oldest, continually-operating golf course in the U.S. 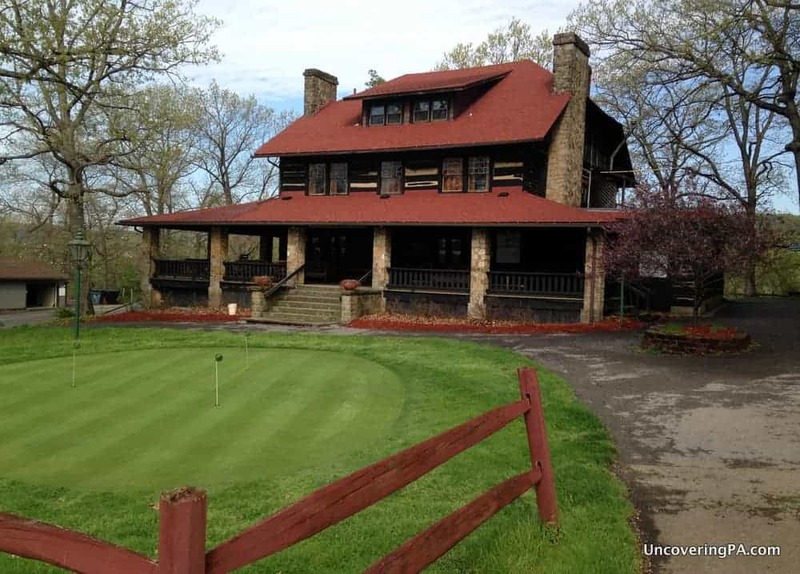 The Foxburg Country Club in Clarion County is the oldest, continually-used golf course in the United States. It first opened in 1887. Things created by Benjamin Franklin and first tried in Philadelphia: the postal service, libraries, zoos, and lightning rods. The first European settlers in Pennsylvania were from Sweden. Their settlement, Fort Nya Gothenburg, started in 1643 on Tinicum Island near Philadelphia International Airport. The Byler Amish in the Big Valley of Mifflin County use yellow-topped buggies. 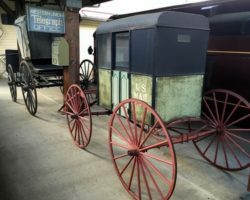 This is in stark contrast to the black and grey buggies that are more commonly used, as well as the plain image that the Amish maintain. The Fair Play Men were illegal squatters along the West Bank of the Susquehanna near Jersey Shore, PA, from 1773-1785. Without knowledge of the events in Philadelphia, they declared their own independence from Great Britain on July 4, 1776. Eastern State Penitentiary had indoor plumbing before the White House. 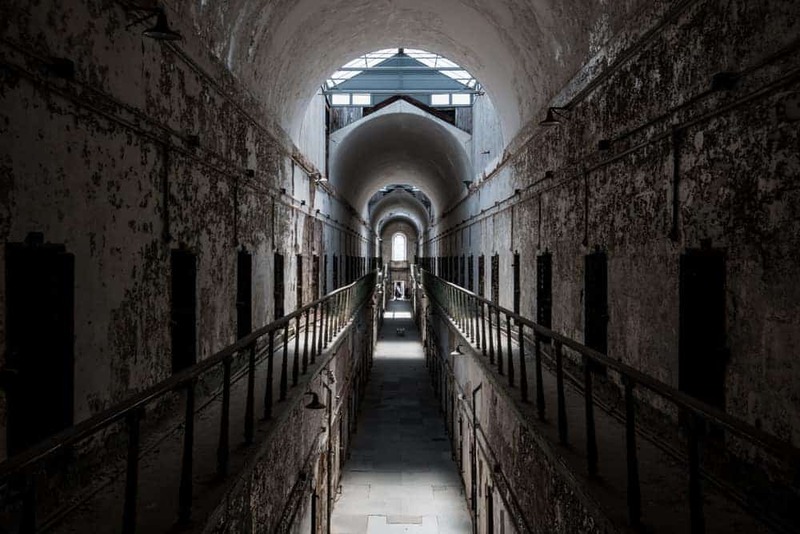 Eastern State Penitentiary in Philadelphia had indoor plumbing before the White House did. There are 19 Baseball Hall of Famers buried in Pennsylvania. Only California (20) has more. This number includes two of the first five men inducted into the Hall of Fame. The Pittsburgh area was the childhood home of six Hall of Fame quarterbacks: Joe Montana, Joe Namath, Jim Kelly, Dan Marino, Johnny Unitas, and George Blanda. Crayola Crayons makes all of their products in Pennsylvania. They produce nearly three billion crayons each year, enough to encircle the globe six times. The Wanamaker Organ is the largest still-functioning pipe organ in the world. The Wanamaker Organ is the largest, still-operational pipe organ in the world. 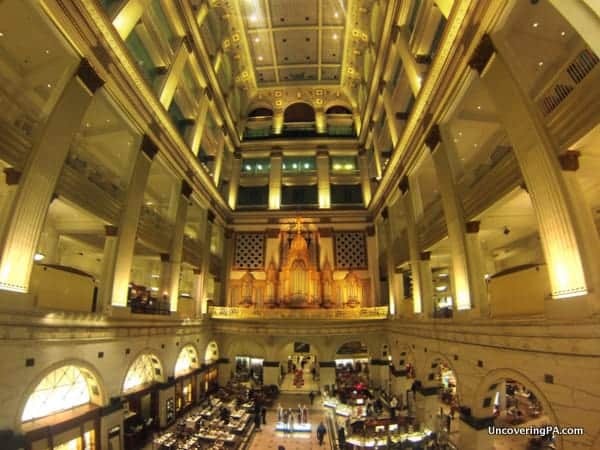 It is located inside a Macy’s Department Store in Center City Philadelphia. Free concerts are offered six days a week. The first drive-in gas station was a Gulf Station that opened in Pittsburgh in 1913. C.F. Martin Guitars Company in Nazareth is the world’s oldest guitar manufacturer. They have been making their guitars in this Lehigh Valley community since 1833. The world’s first computer, ENIAC, was built and used at the University of Philadelphia. It was dedicated on February 15, 1946 and weighed 28 tons. The Losh Run Box Huckleberry in Perry County is estimated to be 13,000 years old, making it one of the oldest living organisms in the world. It was cut in half and nearly killed by the widening of Route 322 in the 1970s. 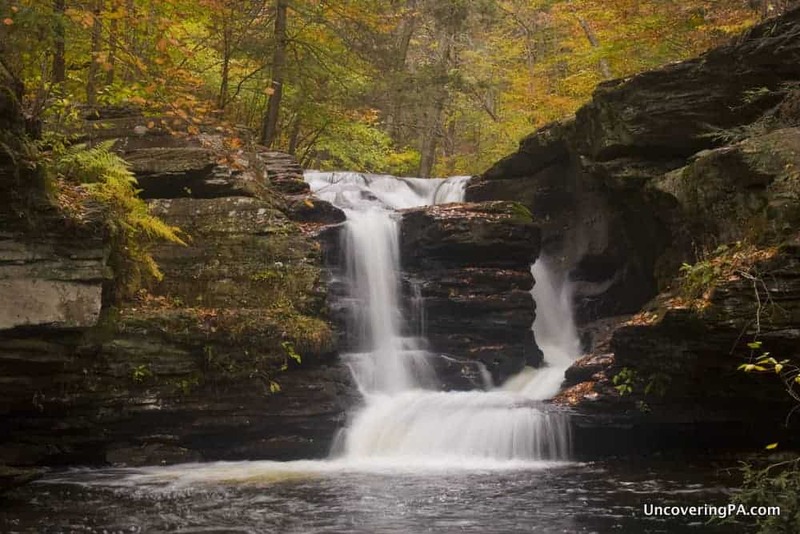 If not for World War II, Ricketts Glen would likely be Pennsylvania’s only National Park. Ricketts Glen State Park was on track to become a National Park in the 1930s until World War II diverted funds. It was instead made a state park in 1944. The world’s first wire cable suspension bridge was built in 1816 over the Falls of the Schuylkill River in Philadelphia. Before he became an assassin, actor John Wilkes Booth invested a significant sum of money into an oil venture in Venango County, Pennsylvania. He lost all of his investment. 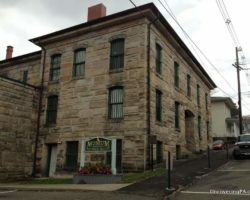 The exterior of the Harry Packer Mansion in Jim Thorpe was the inspiration for the Haunted Mansion ride at Disney World. The mansion is open for events and also functions as a bed and breakfast. Between 1834 and 1854, the time to travel from Philadelphia to Pittsburgh was cut from 20+ days to just 15 hours thanks to advances such as the Allegheny Portage Railroad and the Horseshoe Curve near Altoona. Beaver Stadium is the third largest stadium in the world. Beaver Stadium at Penn State University is the third largest stadium in the world. When it is full, there are more people inside the stadium than in all but three Pennsylvania cities. The world’s first commercial radio station, KDKA, began broadcasting in Pittsburgh on November 2, 1920. The first programming was announcing the presidential election results. The Patriot & Union Newspaper in Harrisburg (the precursor to The Patriot-News) wrote in November 1863 that Lincoln’s Gettysburg Address was “silly” and deserving “a veil of oblivion.” The paper issued a retraction in November 2013. The review was also mocked by Saturday Night Live. George Washington’s first military mission was to deliver a message from the British to the French at Fort LeBeouf (at present-day Waterford in Erie County). The 21-year-old delivered his message, but it was ignored. Today, Waterford has the only statue of Washington in a British military uniform. Here’s a final, but surprising fact about Pennsylvania. Bison roamed portions of central and western Pennsylvania until the late 1700s. Want even more trivia? Check out our list of 51 Philadelphia facts that you didn’t learn in school and 41 fun facts about Pittsburgh. 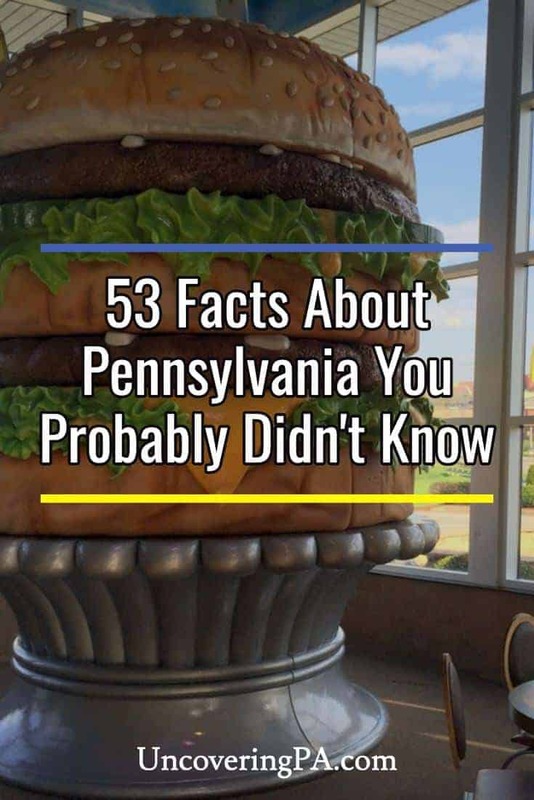 Do you have a favorite Pennsylvania fact that you didn’t see on this list? Let us know in the comments section below. Reighard’s Gas Station in Altoona, PA is America’s Oldest Gas Station operating since 1909. The banana split was invented by Dr. Strickler in his drug store in Latrobe, PA.
Fred Rogers of Mr. Rogers Neighborhood and Arnold Palmer (pro-golfer) were from Latrobe, PA and graduated from Latrobe High School. Titusville, Pennsylvania was the wealthiest city in the world, in the 1880’s. The Johnstown incline plane is the world’s steepest vehicular incline plane. Brookville, in Jefferson county, was the home of the Twyford, the world’s first 4-wheel drive car in 1905. Very few Twyfords were actually manufactured due to lack of financial backing. A reproduction was built by a local engineer several years ago and is on display in the Jefferson County Historical Society. Brookville is also the home of Earle Sandt. On Feb 11, 1912, he became the pilot to successfully fly over Lake Erie and thus completed the first international flight. Brookville’s Scripture Rock Heritage Park has won national and state awards. It features 65 of about 500 rocks and boulders with scriptures, etc meticulously hand carved into them in the early 1900s. The park is easily accessed from I-80 Exit 81. Wear sturdy shoes. The only theater pipe organ to rise from a covered pit in the US is in Harrisville, Pennsylvania. There are two others, one in England and one in Australia. The organ is mostly Wurlitzer and is a 3/20 with water fall console. The organ is in a private home and opened to the public for concerts several times a year with world renowned organists at the console. The highest elevation populated borough or town in Pennsylvania is Berlin, PA in Somerset County. Buhl Farm Golf Course, formerly known as Buhland Golf Course, located in Sharon, Pennsylvania, is the only free public golf course in the United States. The 9-hole course is open from mid-April to November between 8 a.m. to sundown. Mr. Fred Rodgers was born in Latrobe PA. Pittsburg was the location where he conducted much of his work including Mr. Rodgers Neighborhood. I believe there is a small museum and statue that pay tribute also. Westinghouse Bridge. Was longest concrete span. Westinghouse Research in Forest Hills split the first atom. Also mad first navy and commercial reactors. J.C. Blair invented the paper writing tablet in Huntingdon, PA. Samuel Clemens (aka Mark Twain) wrote a letter in 1884 thanking Blair for the invention of the tablet. Huntingdon, PA is the hometown of Tom Hoover, “Father of the Hemi” engine; that changed NASCAR forever and powered generations of muscle cars. Mr. Hoover is an alumnus of the local Juniata College.